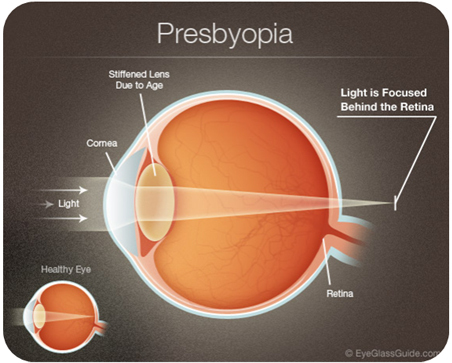 Presbyopia is a vision disorder that makes it difficult to focus the vision to play or close work. This is not a disease but a normal aging process of the eye and particularly the lens that multiple hardening. In addition, ongrowing decreases the effect of the contraction and relaxation of muscles both implicated in accommodation. This phenomenon usually affects people over 40 years because the lens begins to lose its flexibility.